Temperatures are rising, birds are chirping, bees are buzzing, and it’s just about time to swap your winter wines for rosé all day. Whole Foods is prepared to help out with the latter by selling a lineup of spring rosés at discounted prices, starting Monday. The wine sale will last from now through May 28, and will cover 10 different rosés picked by master sommelier Devon Broglie. The collection highlights “how the category has grown,” according to a statement from Whole Foods’ wine guy. There are a variety of options, meaning you’ll probably be able to find something you like. The sale will include additional rosé selections that vary depending where you’re shopping. 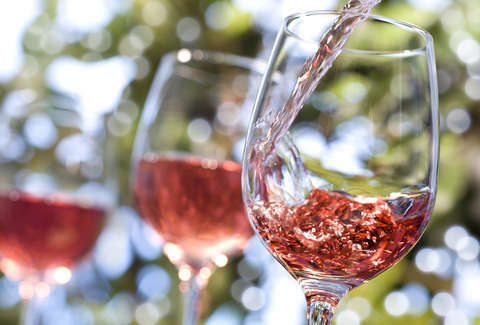 “This spring we’ve pulled together an innovative variety of rosé wines that really showcase how the category has grown since we became one of the first national retailers to recognize its potential and showcase it on our shelves,” Broglie said in a statement. You probably can’t go wrong money-wise no matter which wine you choose, but if you’re really looking to save a buck we suggest opting for the Orlana Vinho Verde Rosé at $7.99 or King Rabbit Rosé at $9.99. The former was also featured in Whole Foods’ spring rosé sale in 2018, which would suggest it’s either really good or they’ve got a surplus of it they’re having trouble moving. Popularity seems to be the more likely option. Those planning to sip rosé on the go this spring and summer should try the Presto Sparkling Rosé, which comes in cans, or Pool Boy Rosé, which comes in a plastic bottle. Load up the cooler. “This year we are debuting a unique rosé from winemaking legend Charles Bieler we loved so much we bought the whole batch. In addition, we wanted to highlight a few options that really showcase the continued growth of alternative packaging, including Presto, a canned sparkling rosé that’s been so popular we’ve sold through tens of thousands of cases since it launched in our stores in 2016,” Broglie added. Stock up and enjoy. You deserve it after all those months of hibernation.